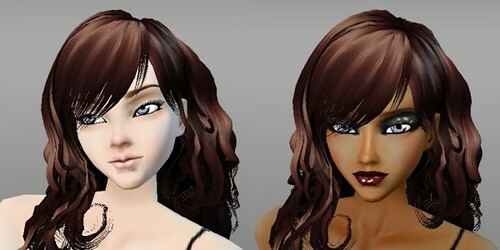 Across the virtual worlds--especially in Second Life and IMVU—the avatar is made in a way that layers of graphics go over a computer-calculated mesh. Both worlds allow residents to create skins and bring them in world. 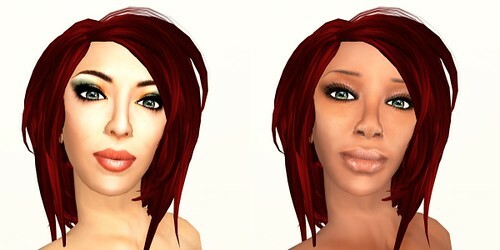 The skins are the most human elements of the avatar, besides the mesh shapes and animations, for avatars. They mark the difference between being a generic body and an individual persona and skin makers do fine business in both worlds. The skins create the base of the being that we inhibit in avatars and bring the poignancy of our humanness to our interactions. They make the 3D we engage in much more meaningful. 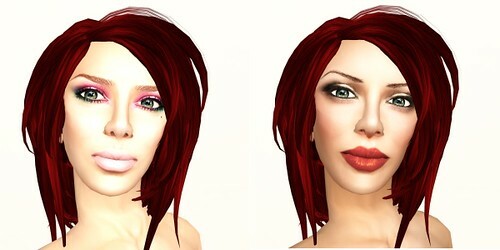 IMVU also has a wide variety of artists producing skins. 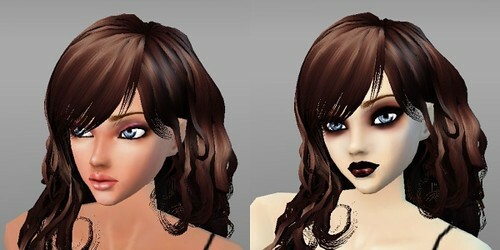 Since I am not an “adult” member in IMVU, my avatar would always have the essential pieces covered. All is fine because you will see only faces here.